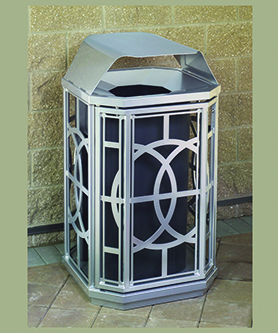 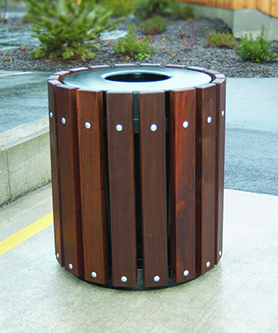 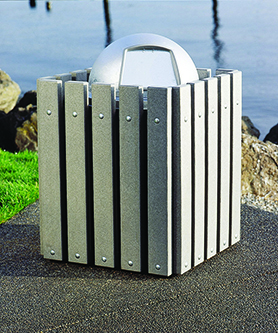 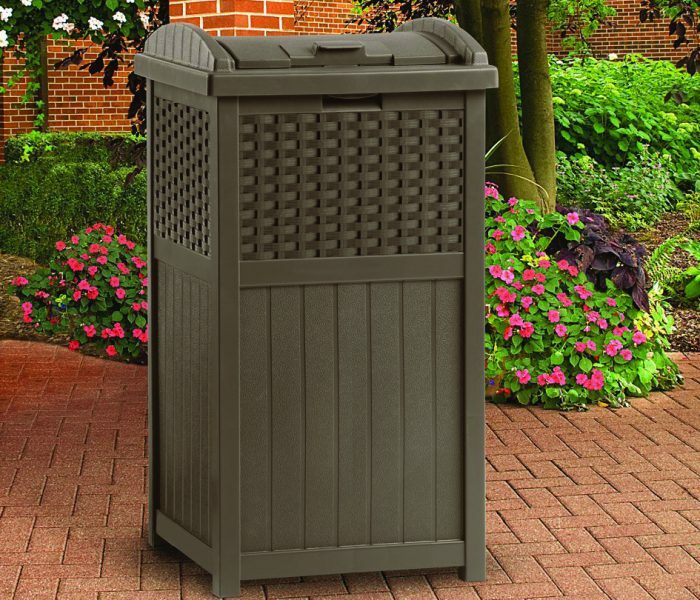 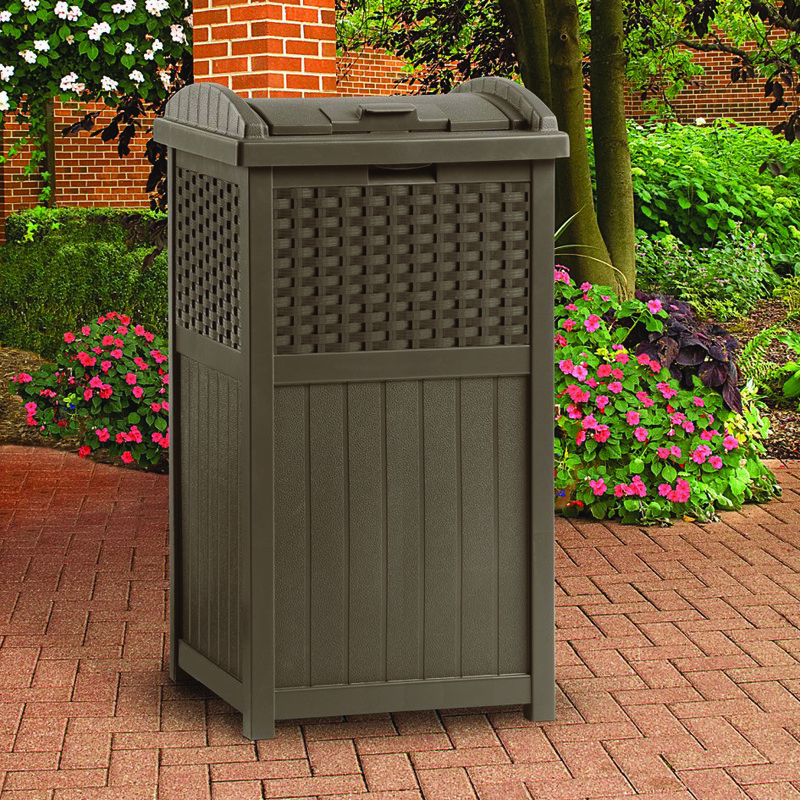 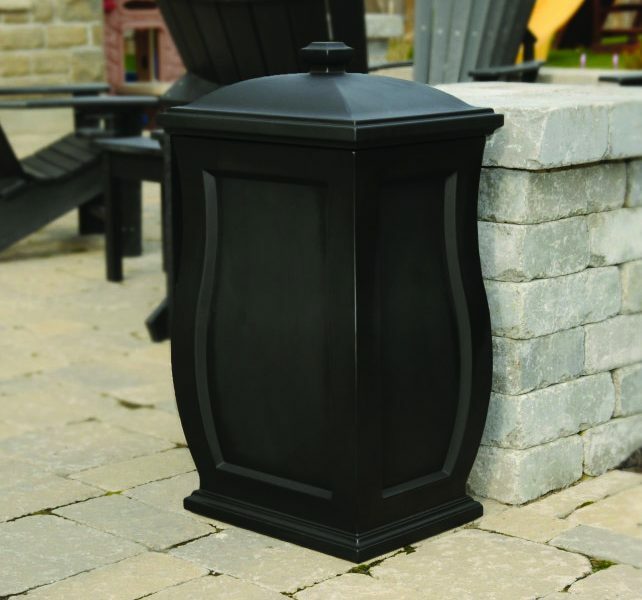 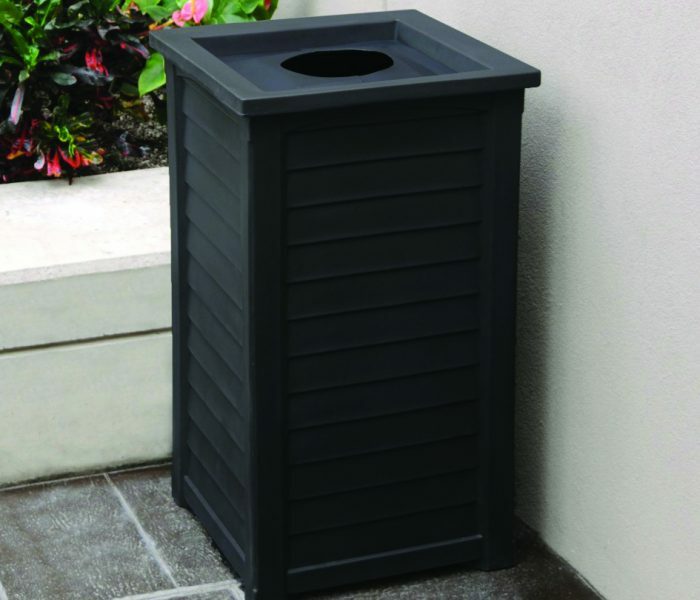 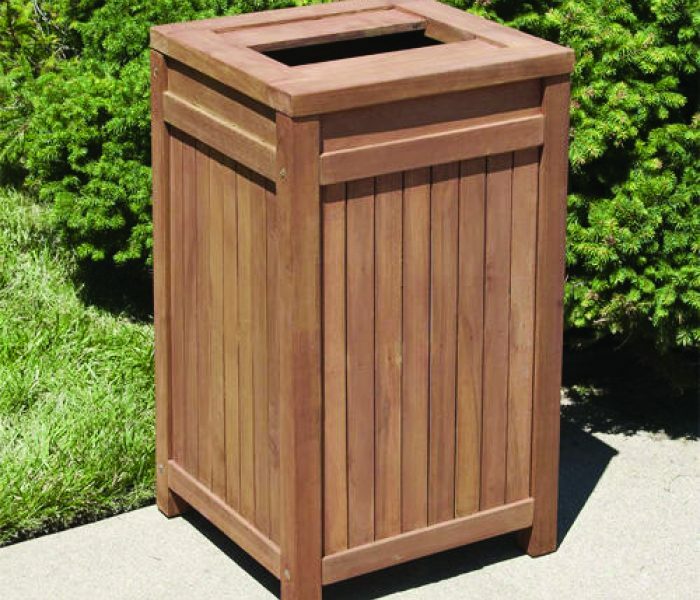 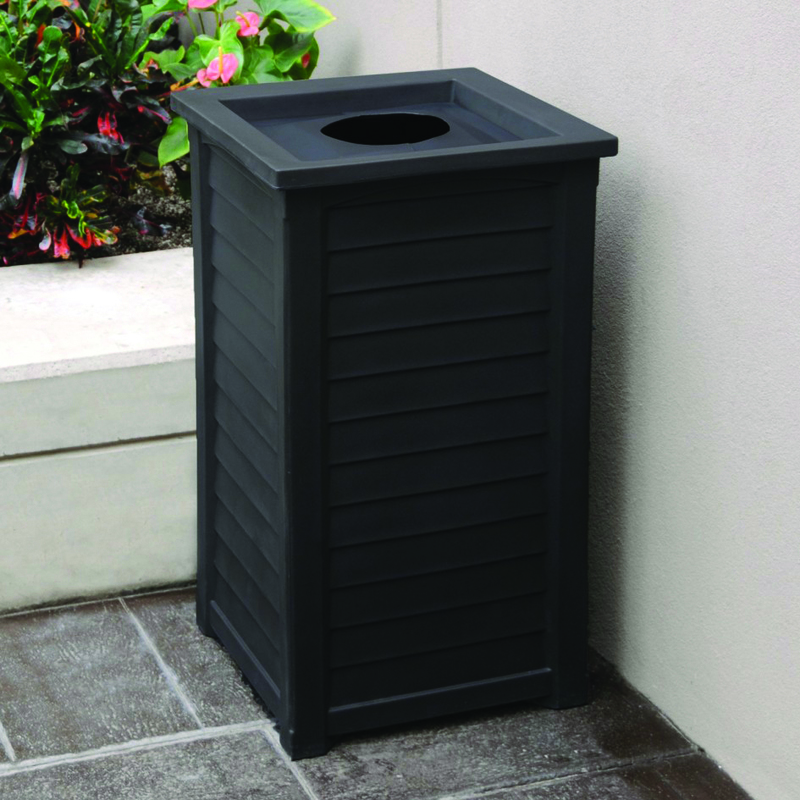 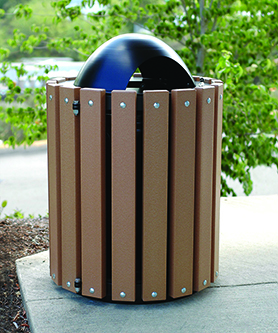 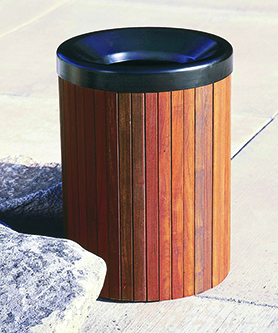 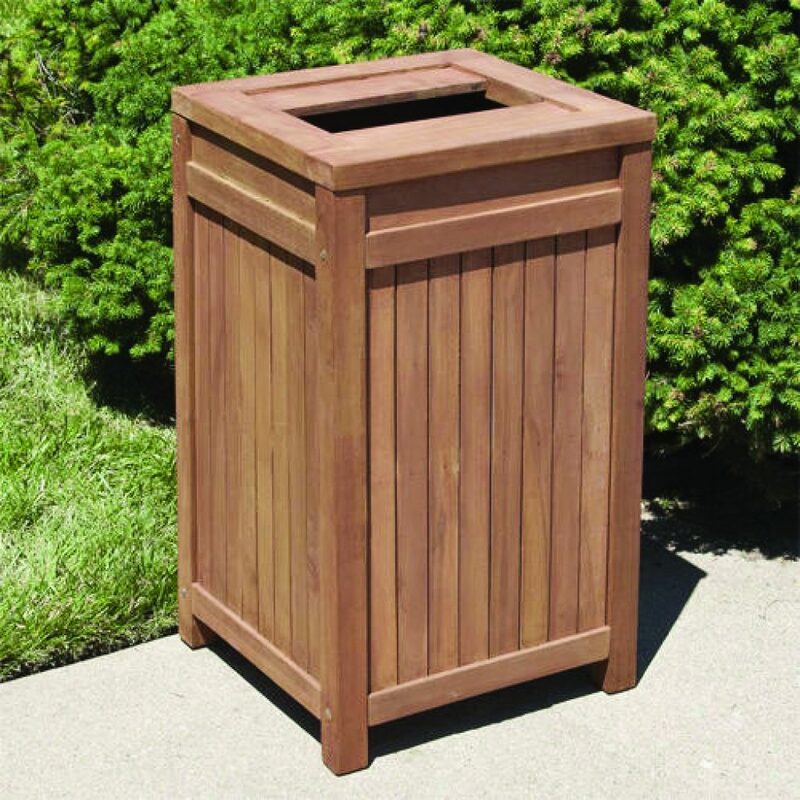 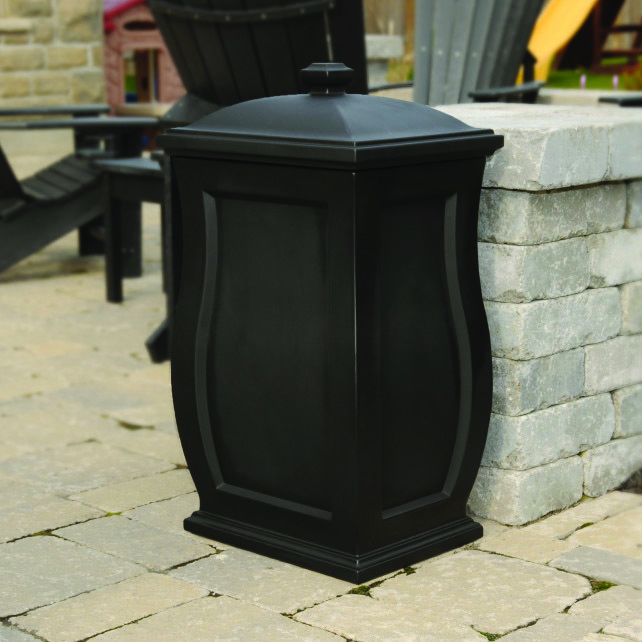 Trash cans are outdoor heavy duty containers used for the disposal of dry waste material. 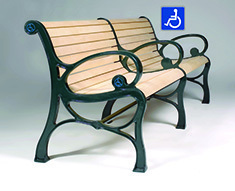 They are part of the outdoor furniture used in a landscape projects. 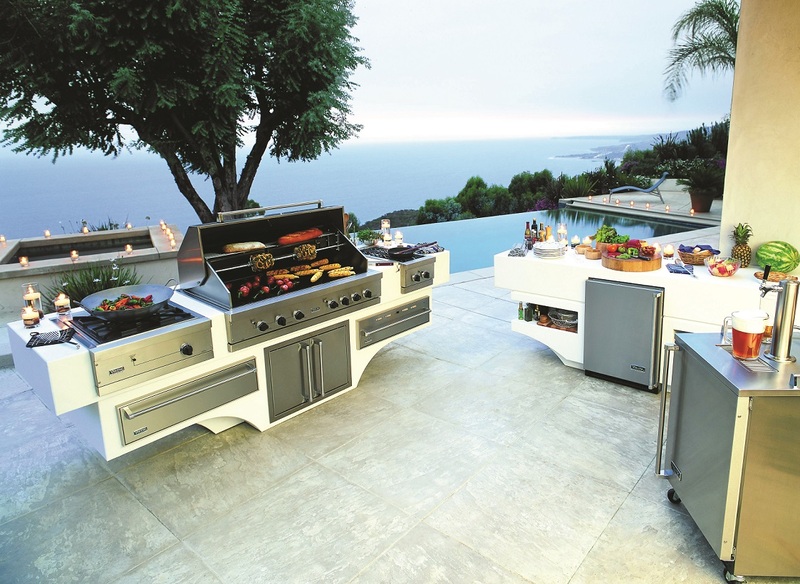 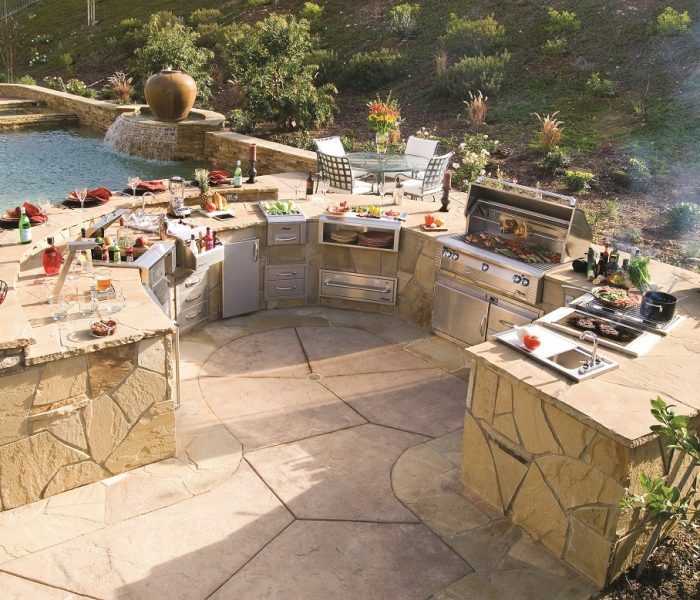 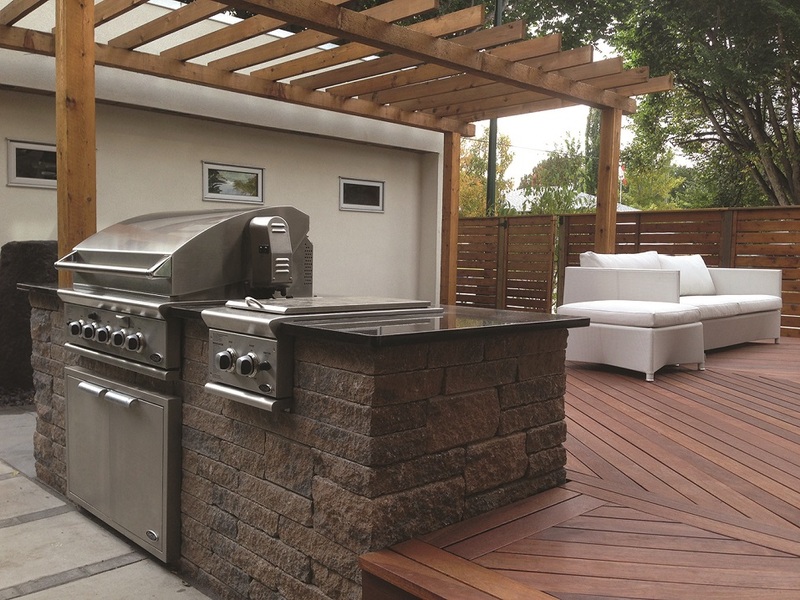 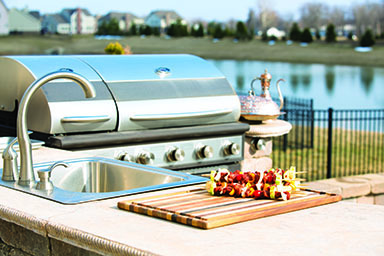 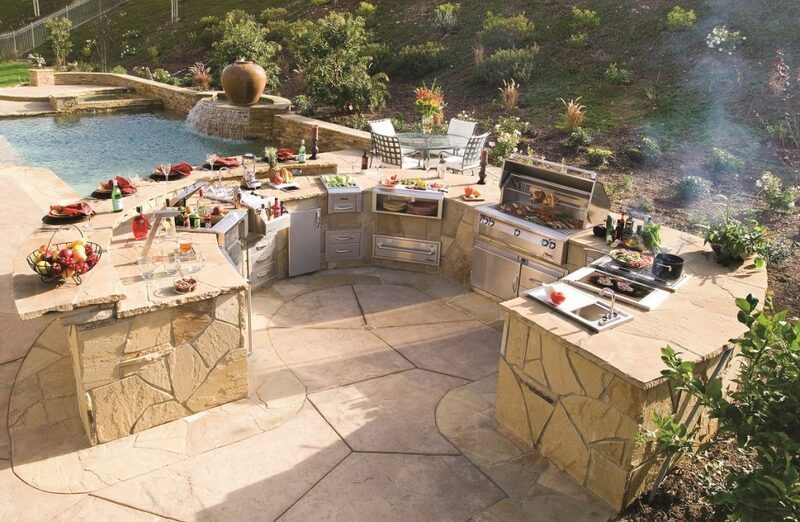 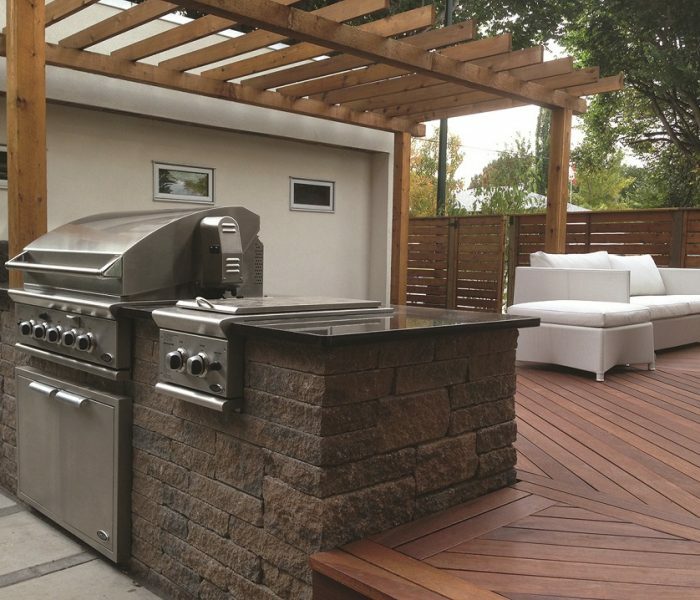 Outdoor kitchen appliances and cooking equipment are grill, refrigerator, side burner, warming drawer, garbage disposal, trash compacter, smoker, pizza oven, deep fryer and recycling bins. 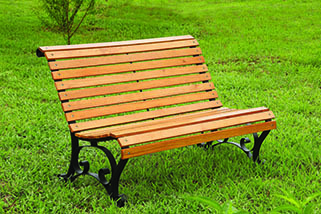 A bench is a piece of furniture on which several people may sit at the same time. 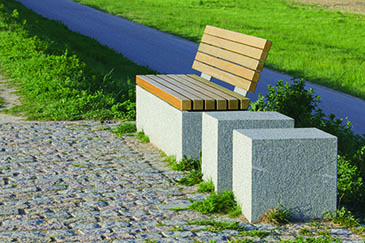 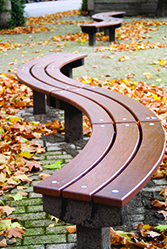 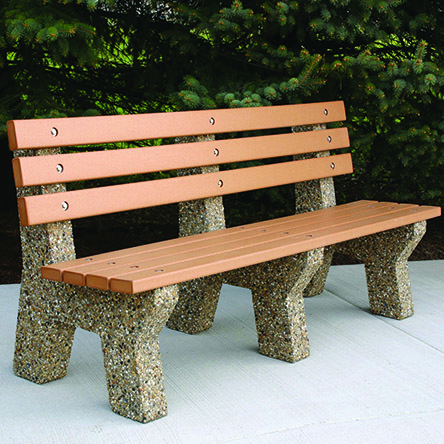 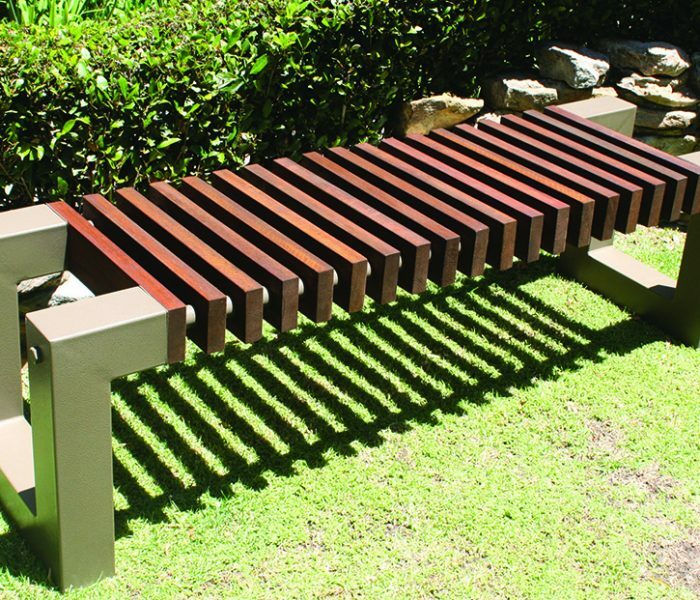 Benches are typically made of wood, but may also be made of metal, stone, or synthetic material. 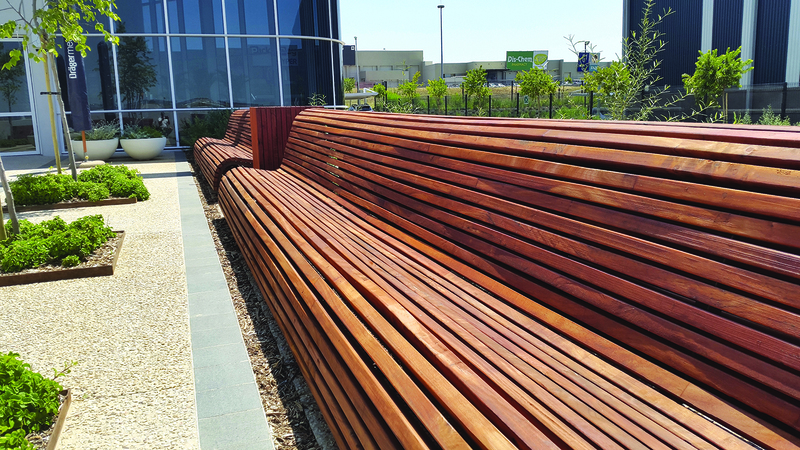 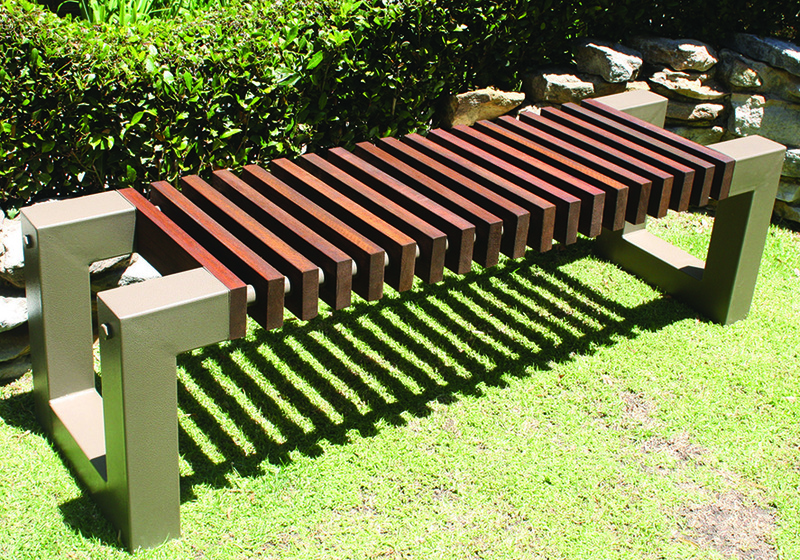 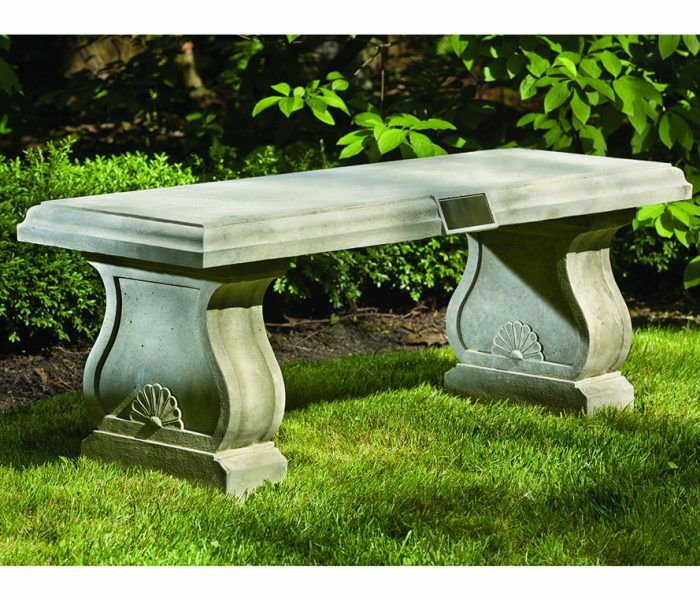 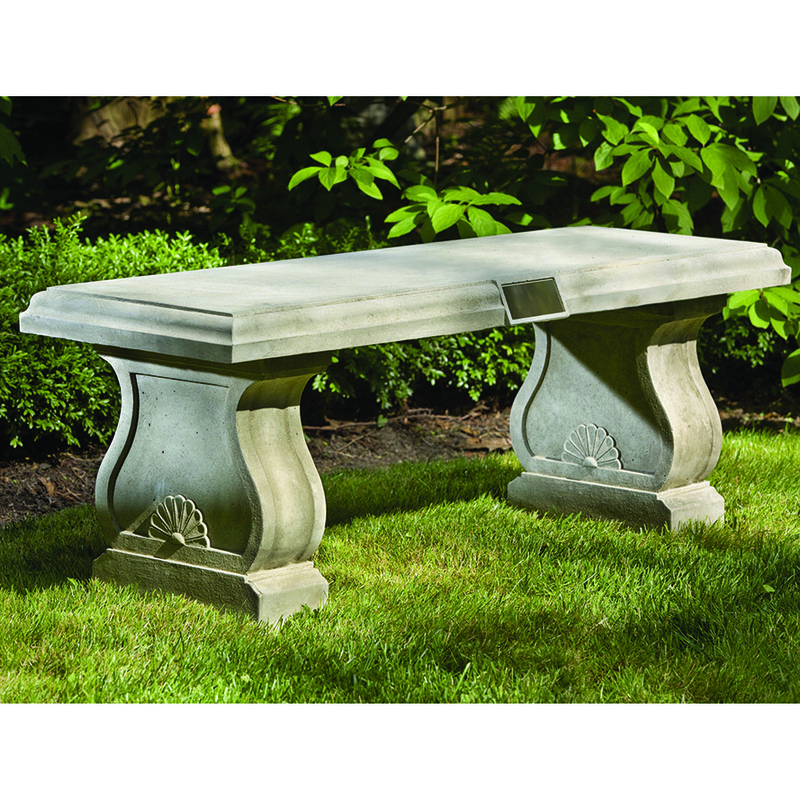 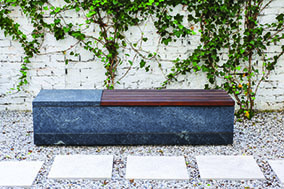 These benches are part of the outdoor furniture in landscape projects. 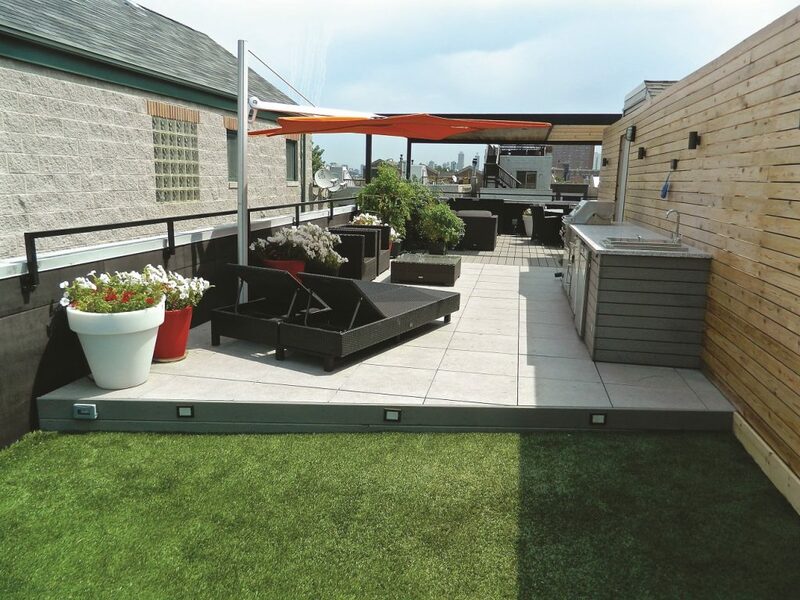 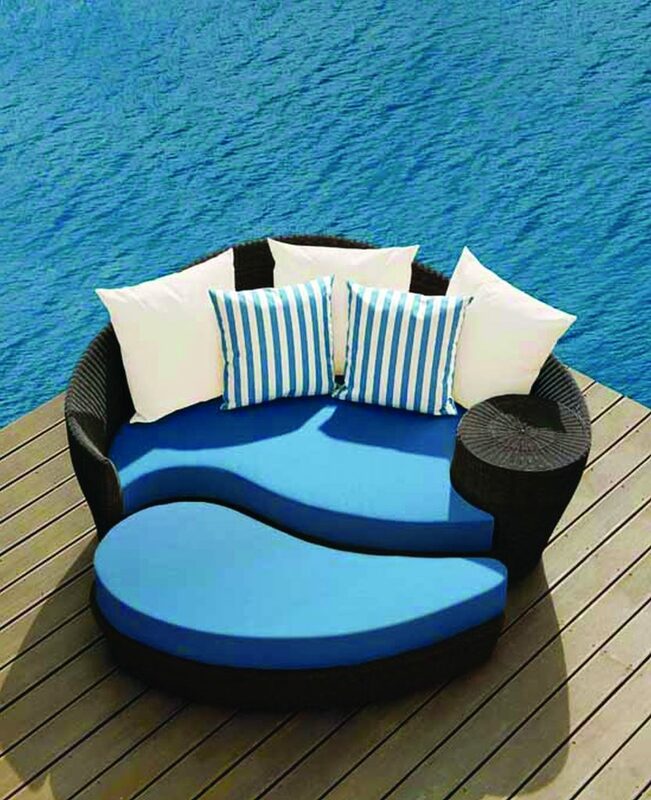 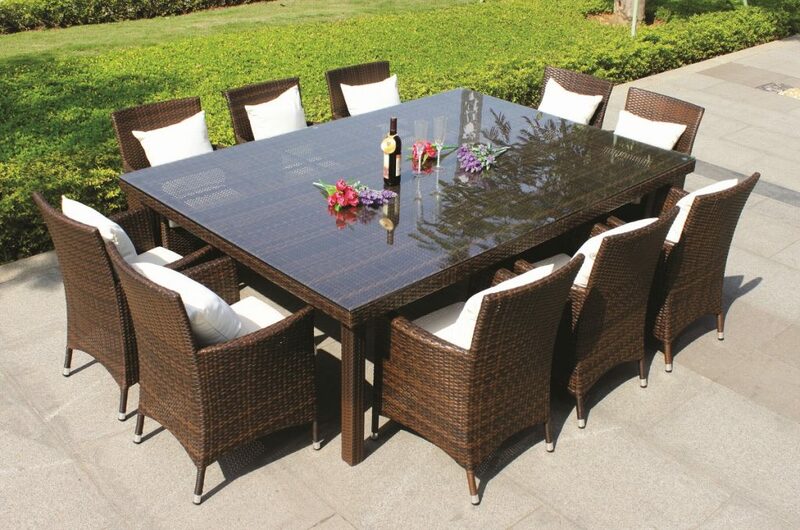 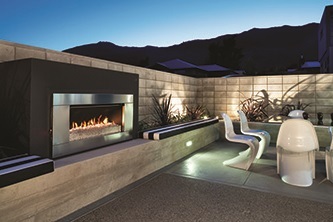 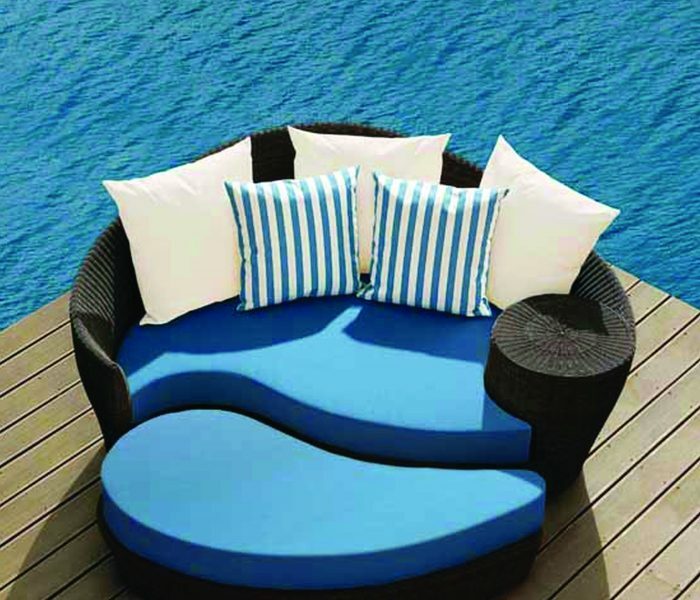 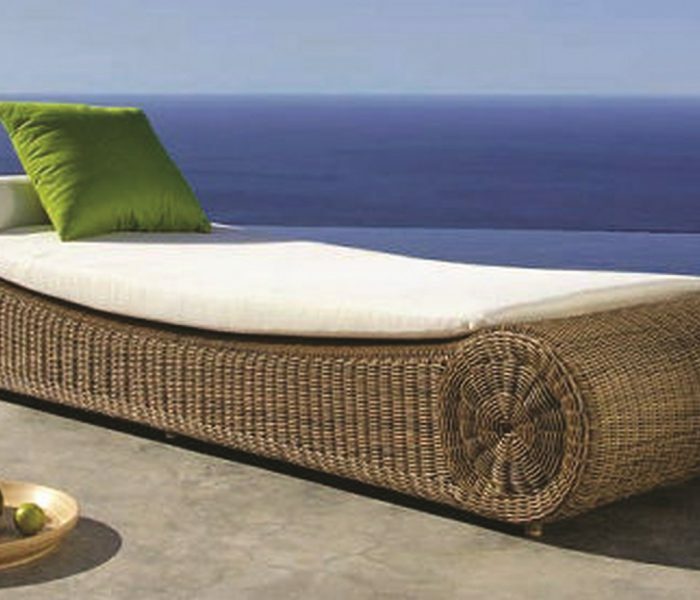 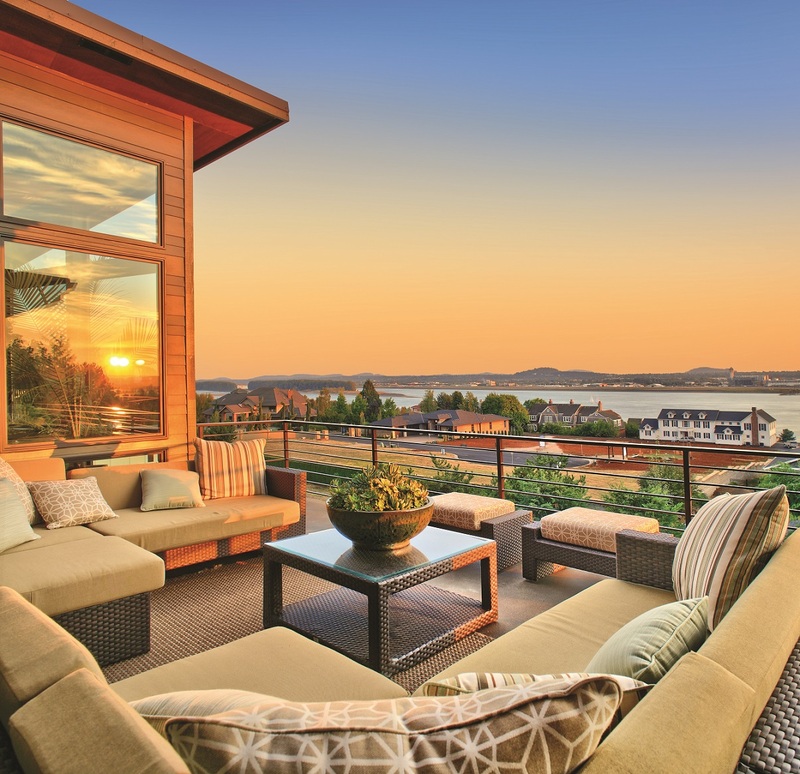 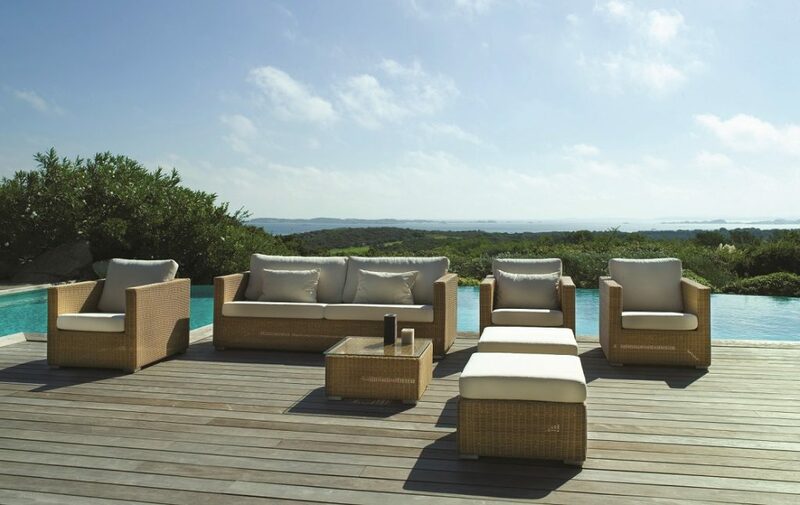 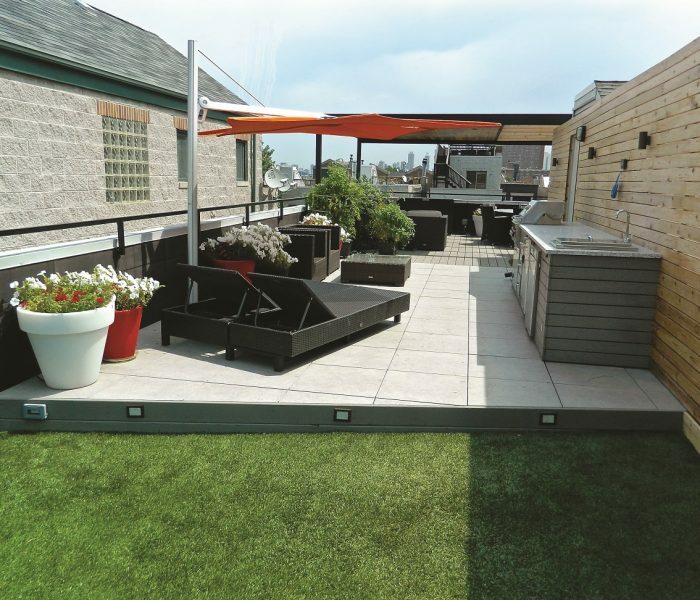 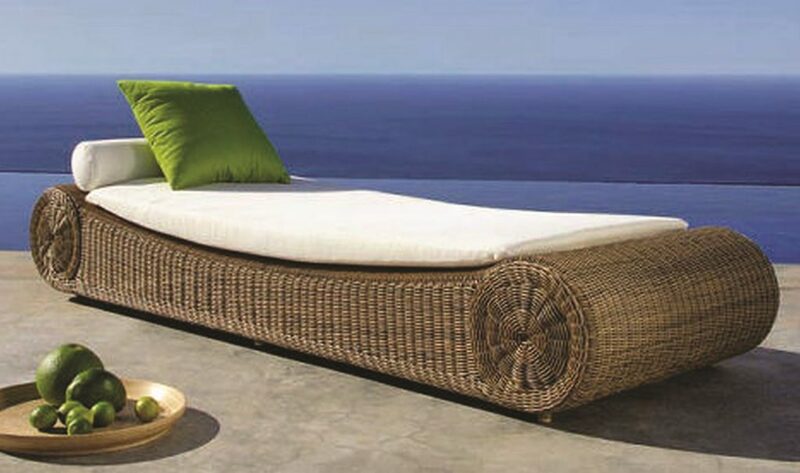 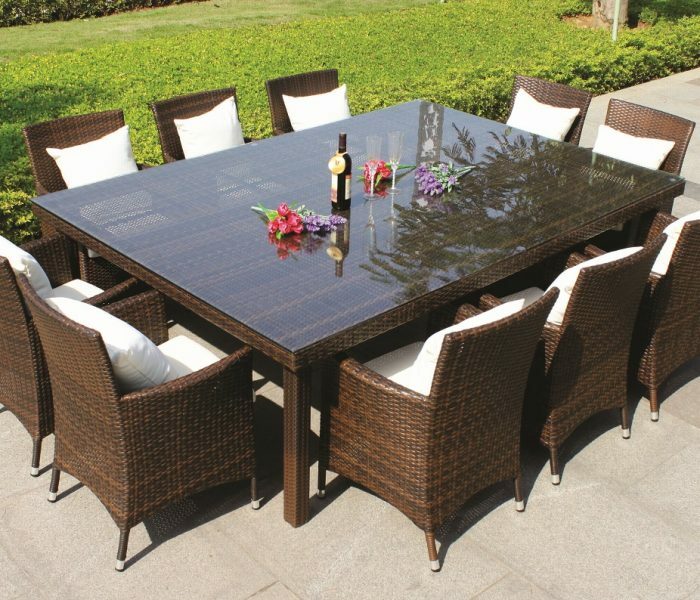 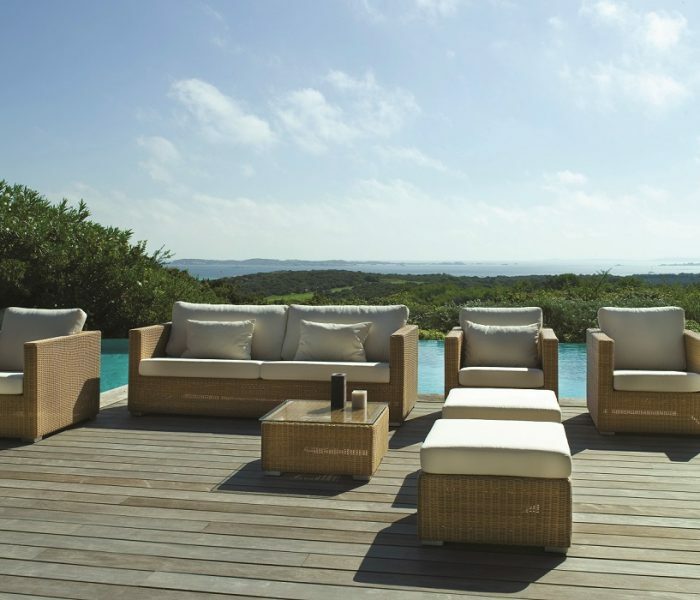 Outdoor furniture is a type of furniture specifically designed for outdoor use. 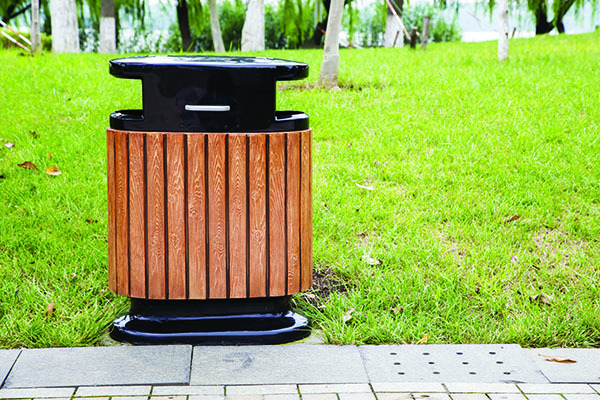 It is made of weather resistant materials. 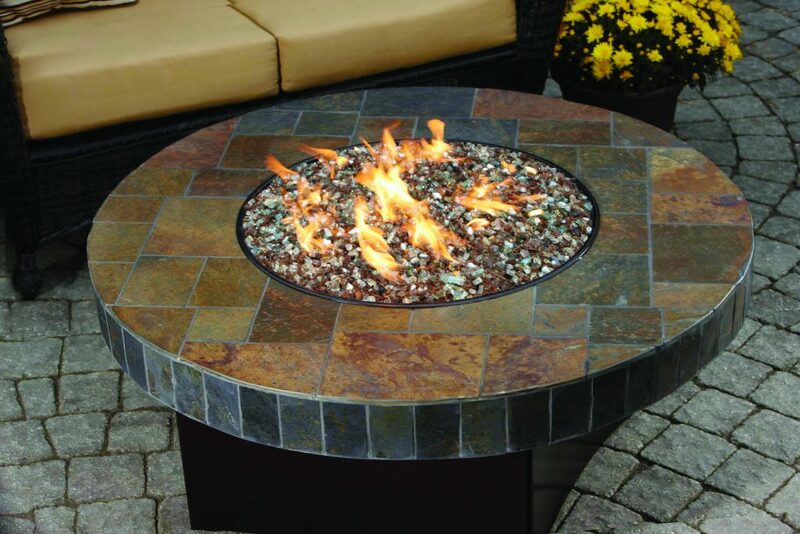 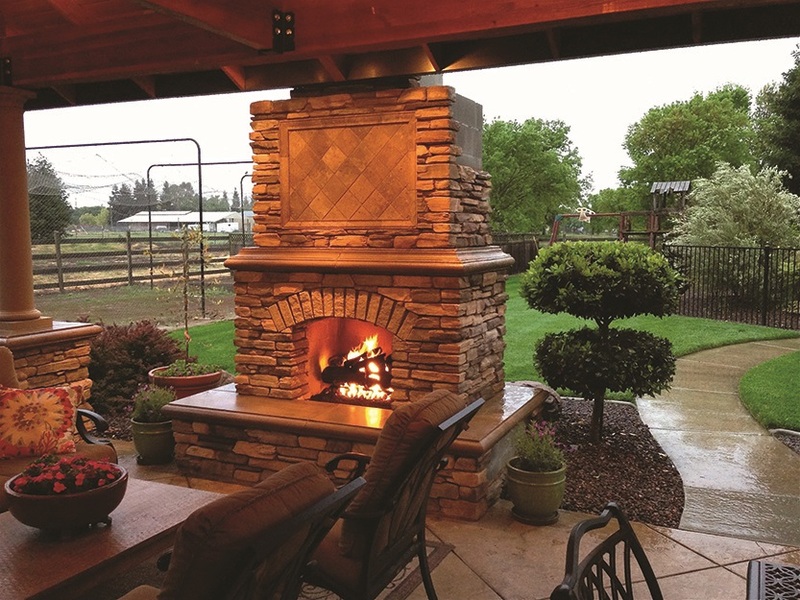 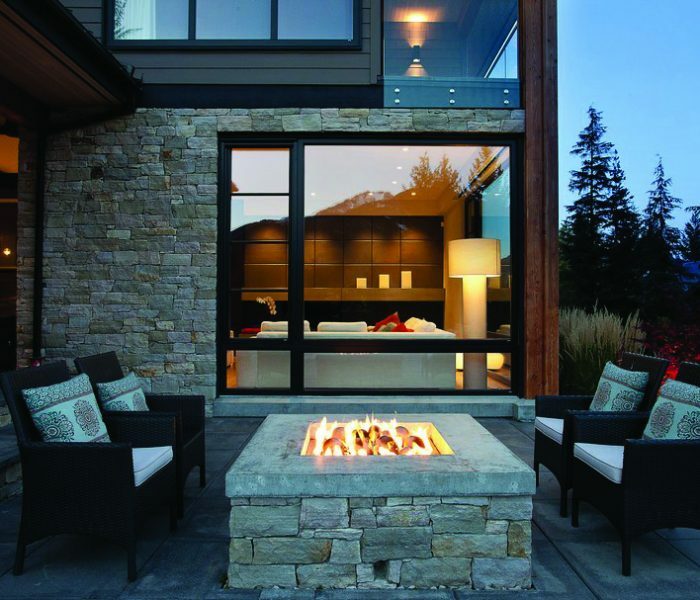 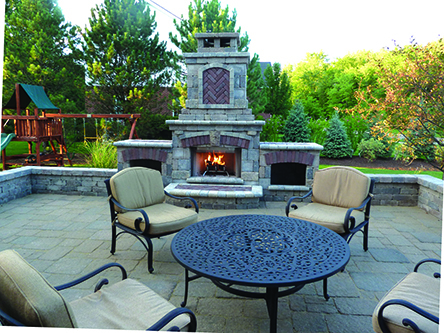 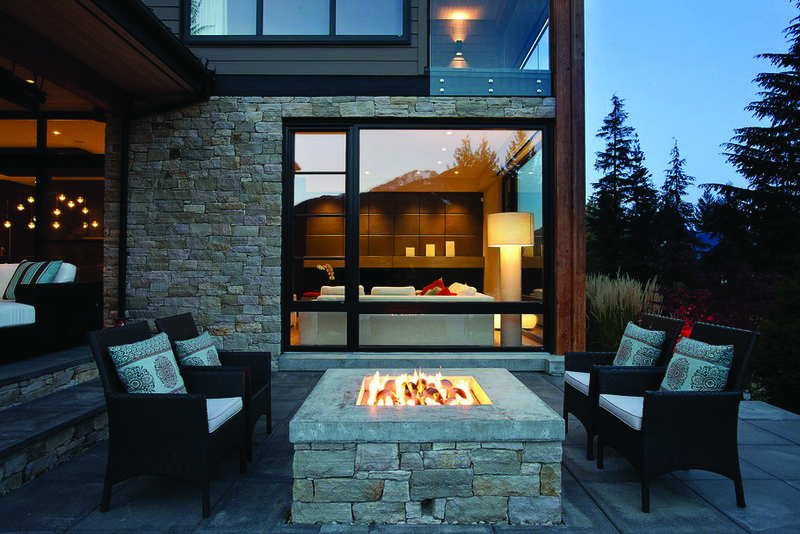 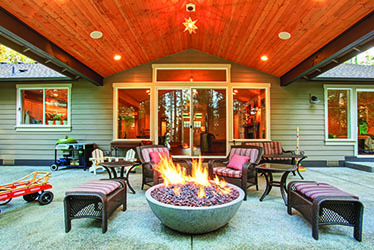 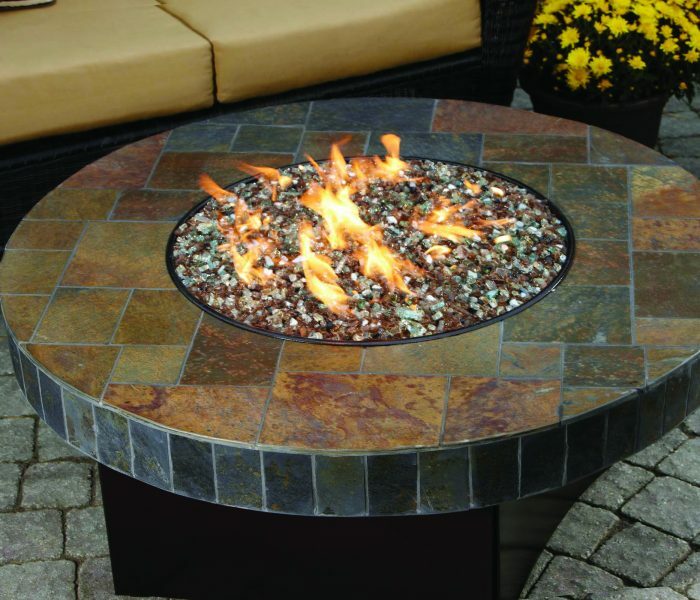 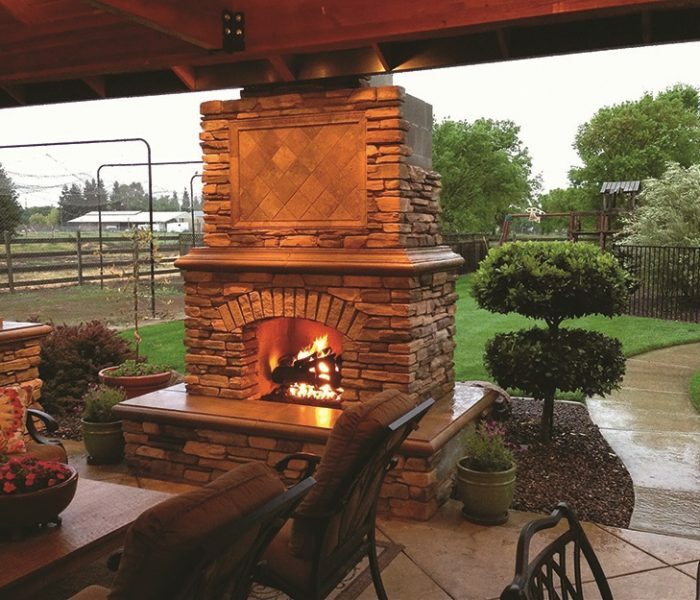 A Fire pit or fire hole can vary from a pit dug in the ground to an elaborate gas burning structure of stone, brick and metal. 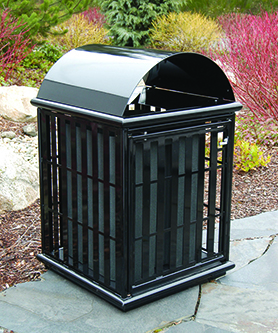 They are designed to contain fire and prevent it from spreading. 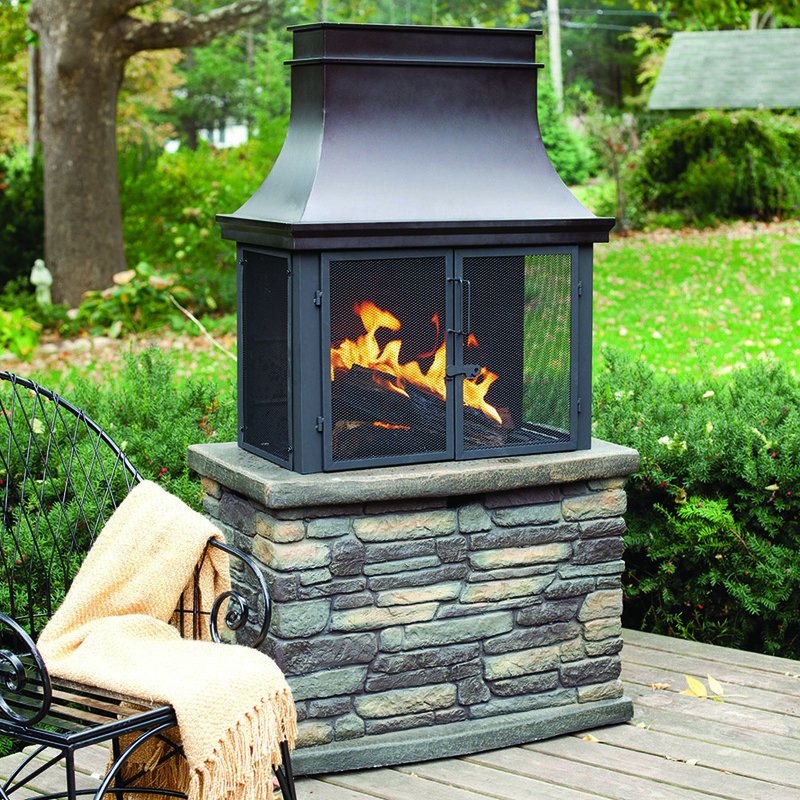 A Fire place is a piece of furniture in a home or lodge, or anywhere that can be heated. 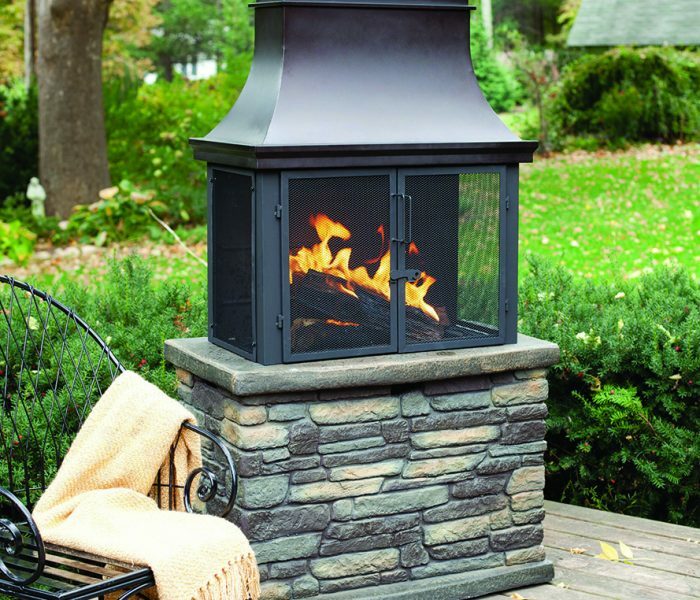 They are used mostly during cold weather.